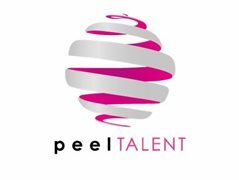 PEEL Talent are seeking Digital Content Technician to join our Award Winning Entertainment Teams on-board our international fleet of Marella Cruise ships. Food, accommodation, flight tickets are covered by the company along with discounted prices to most facilities on-board. Organisation is key; scheduling and managing content for pre-loaded digital signage. Maintaining the library of content for pre-loaded digital signage content. Must be able to work well with others. You will be part of our technical team alongside liaising with Marella and PEEL marketing team. Knowledge/Experience of content management systems. Familiar with Photoshop, After Affects, Illustrator, might be advantageous but not essential as there is no design requirement for this role, simply some resizing of existing imagery.